In addition to bettering our local communities and supporting numerous organizations through our Spirit to Serve efforts, Marriott Vacations Worldwide is also committed to social responsibility through corporate financial contributions, fundraising efforts and in-kind giving. Since our inception, we have focused our financial contribution efforts toward two organizations we passionately support, Children's Miracle Network Hospitals and On Course Foundation. Children's Miracle Network Hospitals was founded in 1983 and since then has raised more than $5 billion for 170 children's hospitals across the United States and Canada. The children's hospitals are able to use the money raised where it is needed the most. These donations have gone to support research and training, purchase equipment and pay for uncompensated care, all to save and improve the lives of as many children as possible. In 1983, as part of Marriott International, we began our relationship with Children's Miracle Network Hospitals, and we remain its longest-standing corporate partner. Since the inception of this relationship, Marriott International has raised over $115 million for Children's Miracle Network Hospitals throughout North America. Our brands have continued this legacy and support of Children's Miracle Network Hospitals since Marriott Vacations Worldwide became an independent, public company in 2011. Our associates, Owners and guests raise funds through hosting large-scale events like the Caring Classic golf tournament, conducting unique fundraising events at our resorts, and participating in the Torch Relay for Children’s Miracle Network Hospitals. On Course Foundation provides long-term benefits for injured, wounded and sick Service-members and veterans through golf tuition, work experience and jobs in the golf industry. On Course began in the United Kingdom in 2009, and was launched in the United States in 2013. 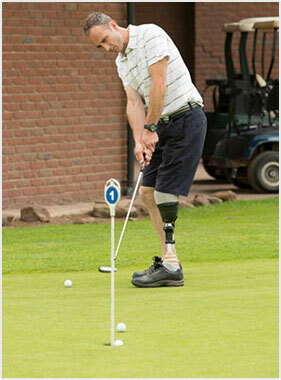 By using the game of golf, this charity provides injured Service-members and Veterans with the opportunity to play in the only game with a level playing field due to the golf handicap system. With our experience in the golf industry and our existing golf programs, supporting On Course Foundation was a natural fit for Marriott Vacations Worldwide. We became proud supporters when the United States Foundation launched in 2013, and have assisted through corporate financial contributions and in-kind donations such as use of our golf facilities and villa stays at our resorts. Through the confidence the game of golf brings injured Service-members and Veterans, the ultimate goal of the On Course Foundation is to carry the confidence their members enjoy on the course, off the course through work experience roles and full-time job opportunities within the golf industry. We help to provide employment guidance and job placement opportunities to these Service-members and Veterans through our golf programs.